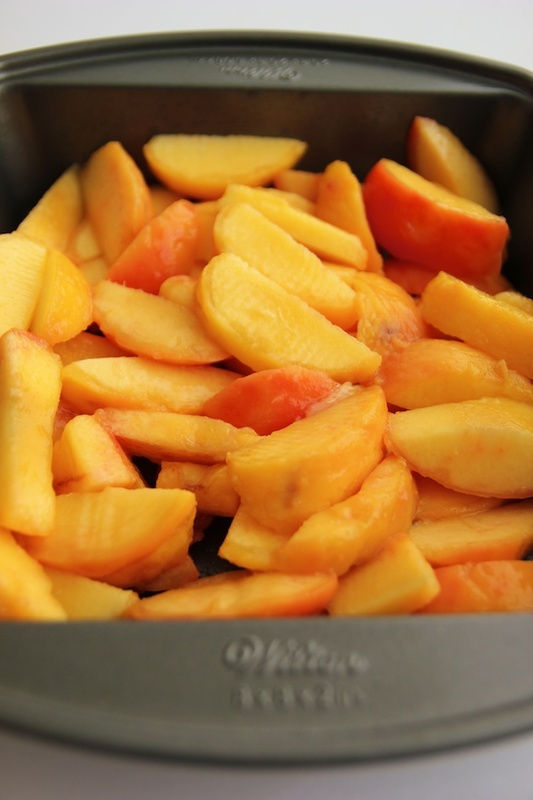 As peaches are in full swing right now, I’ve been taking advantage of this juicy fruit and buying baskets full of them. 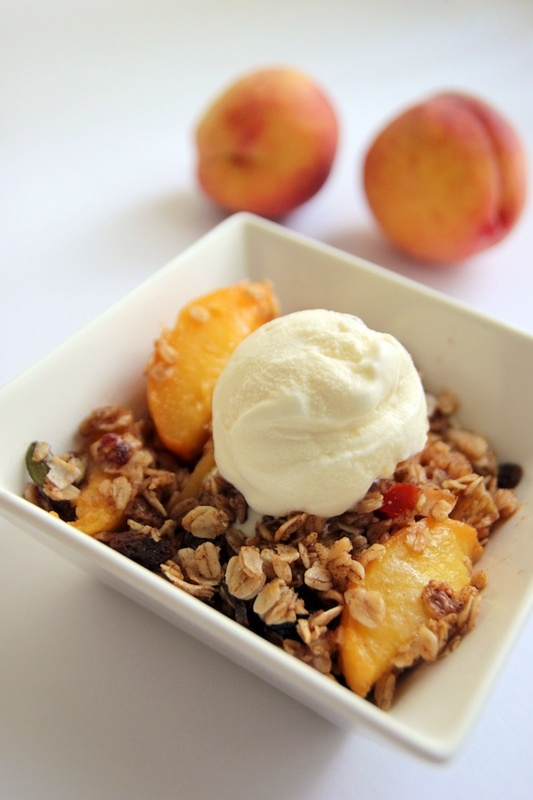 I wanted to bake something with them but didn't want something quite as heavy as a pie, so when I saw this recipe for peach crisp I knew it was a winner. 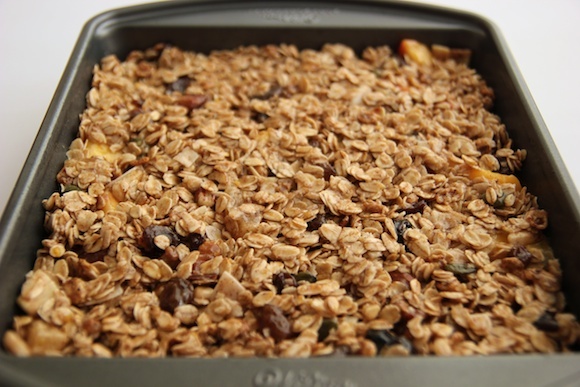 It's also vegan as I wanted a healthier version, and it is just so delish and comforting. 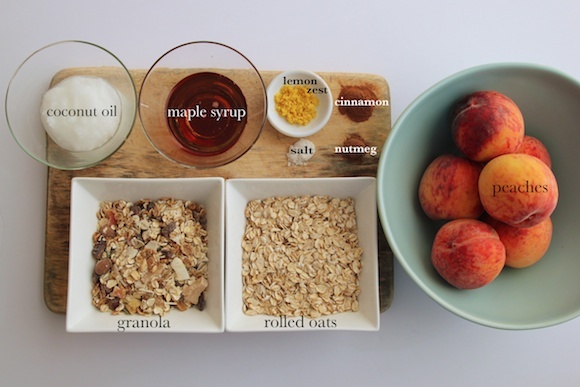 I didn't have brown rice syrup, so I substituted it with 3/8 cup + 1 tablespoon of maple syrup. 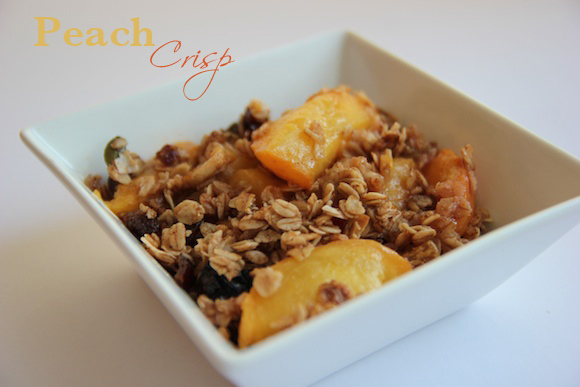 This peach crisp is a hearty little dessert and is also great for breakfast or brunch, topped with a huge dollop of vanilla ice cream of course.